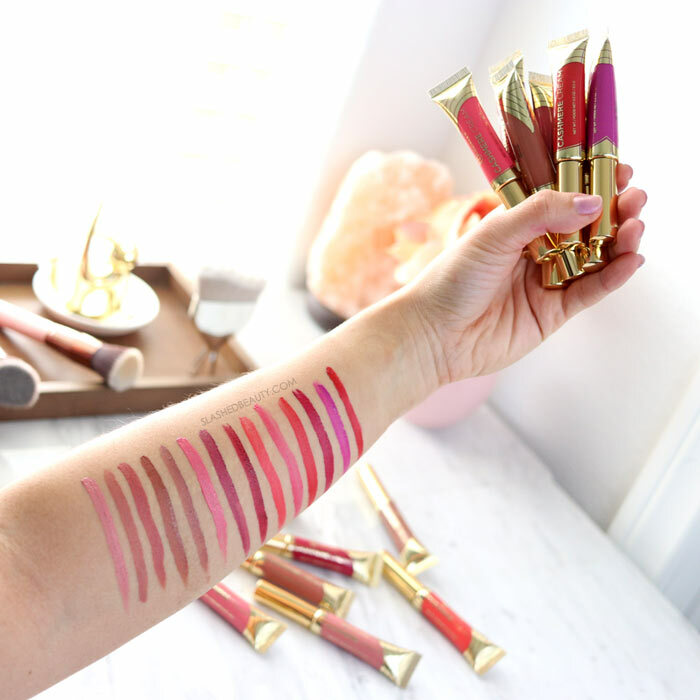 The last couple years have been an overload of lip product releases, haven’t they? 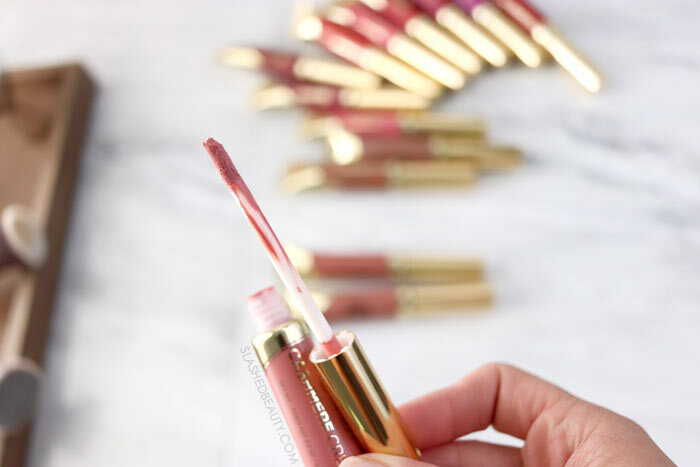 I started to honestly dread opening packages of new lip products because nothing was really impressing me, nothing was truly offering something new. That is, until the BH Cosmetics Cashmere Cream Comfort Lipsticks found their way across my desk. These lipsticks are creamy mattes with a velvet finish that offers full coverage color that feels comfortable all day. Honestly, it’s a dream formula. 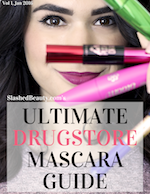 It has a mousse-like texture that packs a punch in a thin layer that’s super lightweight. They remind me a lot of the NYX Soft Matte Lip Creams but… better?!. The Cashmere Creams are more flexible and don’t crack within the lines of the lips. They also don’t feel drying at all, and don’t crumble or feather. The applicator is a bit smaller than a standard doe foot, which I personally like for control. It also doesn’t pick up a ton of product out of the tube, so I find myself having to dip back in several times to finish application. May be annoying to some, but I have a feeling this is to help avoid over-application, since a thin layer is really all you need. 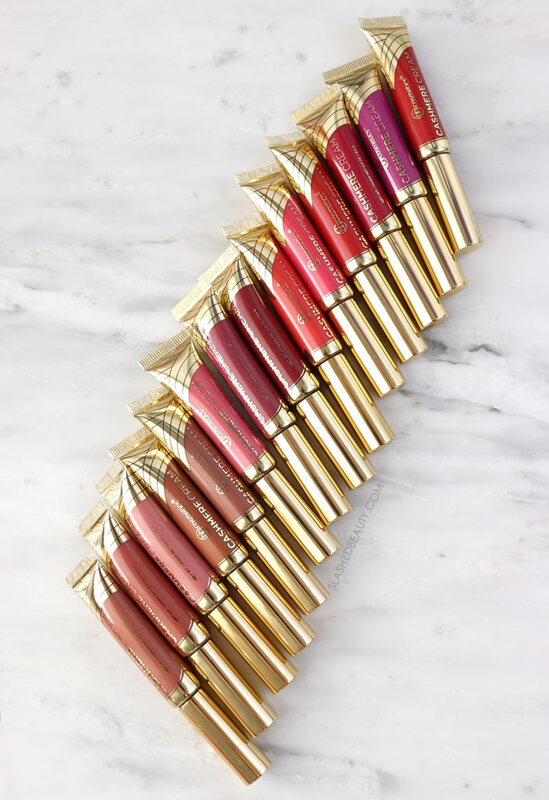 Swatched above in the following order, left to right: Thirsty, Perf, Yas, Roast, Tea, TBH, Extra, Shook, Hustle, FTW, Slay, Savage, 100, Bae. See them swatched on the lips in the video at the top of the page. A couple of the lighter shades need two thin layers for full coverage, but the formula is easily buildable. The medium-to-deep shades, on the other hand, look awesome in one swipe and do leave behind a slight stain as well. I wouldn’t say these are completely transfer-proof, as they don’t dry down to a true matte finish. If you let them set for an hour before eating or drinking, though, you’ll only experience minimal fading. In general, these are pretty long lasting and look great all day. Overall, these are my new favorite lip product release in a long time. I’ve been wearing them non-stop– I’m so glad they started with a wide color selection including both subtle neutrals and bold brights. I hope they continue to expand this particular range because the formula really hit it out of the park for me! 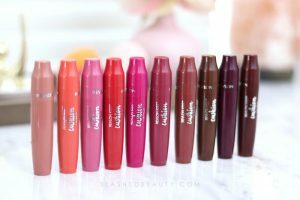 If you’re constantly on the hunt for comfortable matte liquid lipsticks, you’ve gotta try these. 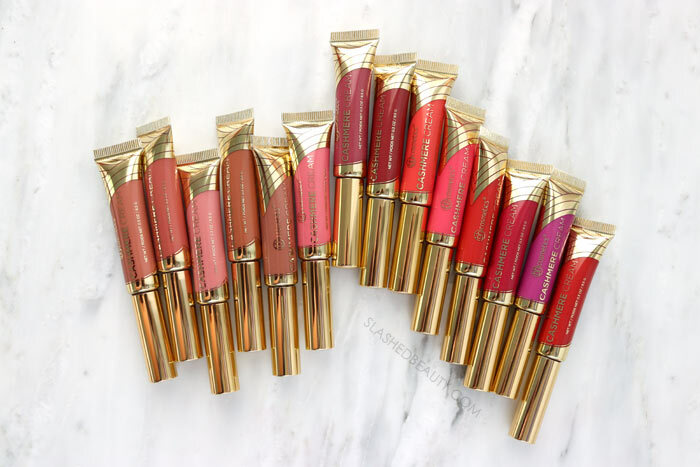 Have you tried any truly impressive lip products recently?